Nothing is better than a massage session for relaxing and rapidly recovering your energy. Traditional secrets of relaxation and full-body wellness from china, india, thailand, and japan are now available in Marseille, 6 days a week, from 10:30 am to 8:30 pm at a hidden pearl called KAILASA, close to the most luxurious hotels such as Sofitel, Novotel and New hotel of Marseille. KAILASA is inspired by Mount Kailash, a peak in the Kailas Range which are part of the Transhimalaya in Tibet. It lies near the source of some of the longest rivers in Asia. 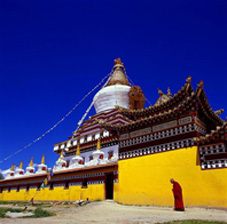 It is considered a sacred place in Buddhism. KAILASA combines South and East Asia massage techniques, along with impeccable services, style, and with a caring, down-to-earth environment. Our team of experienced Asian therapists provides individually tailored treatments, and offers you a quiet a serene retreat from the stresses of everyday life. This approach creates a culture of wellness that makes caring for body, mind and spirit a way of life. We cordially invite you to visit KAILASA, and let us pamper you.